North Berkshire Academy is a public day special education program that offers a small-school learning environment for high school students, accepting students in grades 7-10 with learning disabilities and/or social, emotional, or behavioral disorders. We offer a structured, consistent, emotionally supportive community, based on positive reinforcement. Students work individually and in small groups on academics, social skills, recreation and community service, and earn credits towards high school graduation from their sending schools. We work to provide our students with the tools, knowledge, and support they need to fully reach their potential and successfully transition back to their sending schools or into the community. We believe in the potential and capacity of our students to learn, grow, and develop. To accomplish this, we provide a learning community that offers a broad range of evidence-based academic and therapeutic supports for our students that are strength-focused, empowering and restorative in nature. 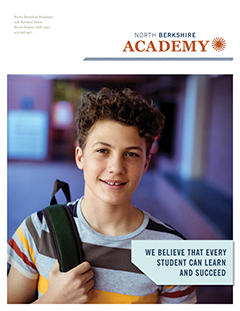 The therapeutic environment at the Academy provides a calm, safe place and daily structure that supports your student's unique social-emotional needs. Full-time on-site clinical support is an integrated part of the program, and your student will have access to highly qualified specialists including speech, physical therapy, occupational therapy, vision-orientation and mobility, adapted physical education, and assistive technology/augmentative communication assistance, depending on the needs outlined in the IEP. Teaching staff and clinical staff take a team approach to working with our students, and the team includes and embraces the student, parents, and families to ensure that students feel they have a safe and supportive community. CES is committed to involving parents and families in the students' participation in our programs in ways that promote social, emotional, and academic growth and progress.There are regular onsite meetings with family members, and frequent communication with Academy staff, as well as parent involvement in our quarterly Program Advisory Group. Staff share program approaches and tools with families so that students can be well supported in the home. "The journey doesn't seem so overwhelming anymore. This is not a journey that I have to accomplish by myself." The day program runs Monday - Friday, from 8:00am - 2:15pm. The Academy offers student-driven electives and clubs; and students may also have access to in-district extracurricular activities and sports, in collaboration with their sending district. The school offers multiple classroom spaces and a gymnasium for students; and all spaces are fully accessible to students or visitors with limited mobility. To learn about program enrollment and referral of students, click here to visit our enrollment page. Jodi Drury, Ed.S., CAGS, Ph.D.
...that academic, personal, and social growth requires a community commitment to social justice. Is North Berkshire Academy a match for my student? We offer programming for students with autism, learning disabilities, or social, emotional, or behavioral disorders. Students generally have average to above average cognitive ability and have demonstrated the need for more intensive levels of academic, social and emotional support than most public schools can provide. Students must have Individualized Education Programs (IEPs) in place from their sending school districts. We accept students from all across Berkshire County, and are located close to the Berkshire communities from which our students are drawn.